It's time to get creative! 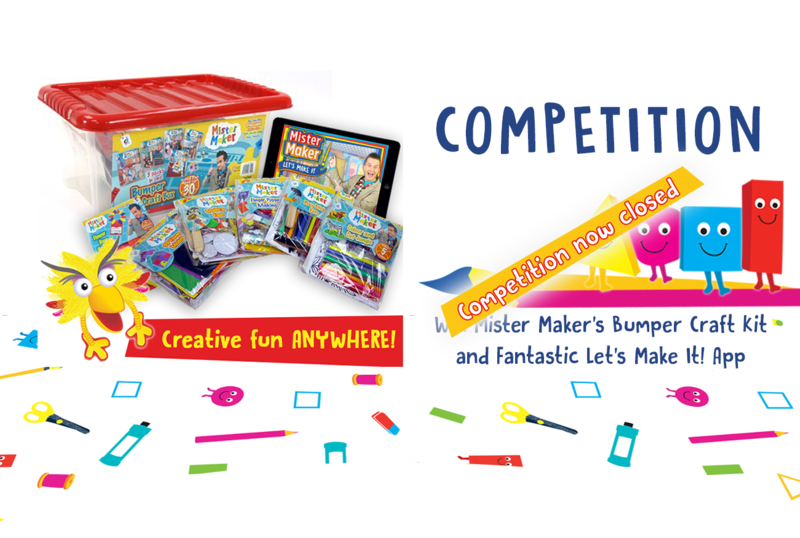 We're giving away Mister Maker's Bumper Craft Box containing a fantastic assortment of Mister Maker themed Make It kits for over 30 hours of Making Fun! 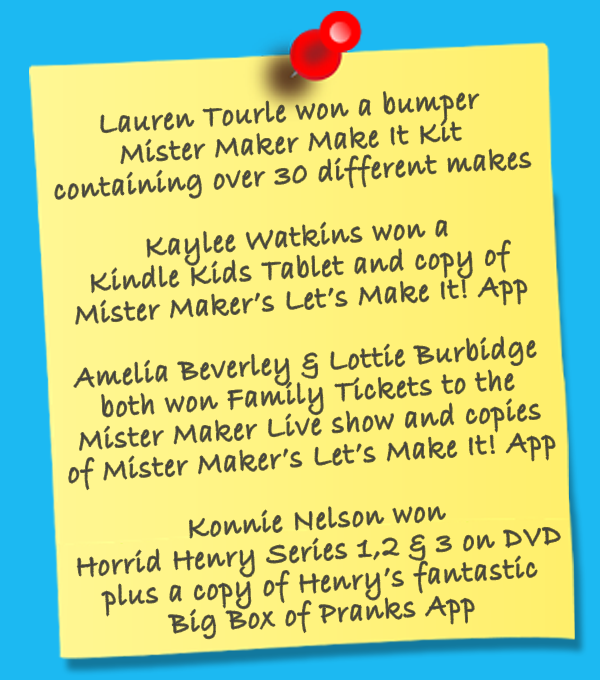 Plus, a copy of Mister Maker’ very own Let’s Make It App so your little ones can imagine and create unlimited numbers of pictures and designs on the go. Containing over 350 colours, materials and special effects from the Doodle Drawers, there’s even virtual glue and digital glitter for maximum fun anywhere without any of the usual mess. Amazing! Competition closes on : NOW CLOSED. Fill out the form below to send details of the competition to a friend via email.